"I let him know we can't have this, we're not going to have it, and that's the way it's going to be," Trump said in an interview with CBS. Asked if he held Putin personally responsible for interference in the November 2016 presidential vote, Trump replied: "Well, I would, because he's in charge of the country, just like I consider myself to be responsible for things that happen in this country." Trump said he had been "very strong on the fact that we can't have meddling, we can't have any of that." Trump has also appeared on several occasions to question the US intelligence findings that Russia interfered to undermine Democratic candidate Hillary Clinton. Putin denies any Russian interference. Trump did this in Helsinki, too, and executed a convoluted walkback of those remarks on Tuesday, saying he misspoke in Finland. "Yeah and I've said that before," he said. "I have said that numerous times before, and I would say that is true, yeah." Asked then if he thinks Putin is lying to him, Trump said: "I don't want to get into whether or not he's lying." Earlier Wednesday, Trump claimed that no US president has been as "tough" as him on Russia. "We're doing very well, probably as well as anybody has ever done with Russia," Trump said at a cabinet meeting at the White House. "Look at what we've done. Look at sanctions. "And I think President Putin knows that better than anybody," Trump said. "He understands it, and he's not happy about it. "And he shouldn't be happy about it because there's never been a president as tough on Russia as I have been." But when asked if Russia was still targeting the United States, Trump appeared to reply "no" -- an assertion that would contradict the assessment of US intelligence chief Dan Coats, who said Monday that Russia was involved in "ongoing, pervasive efforts to undermine our democracy." 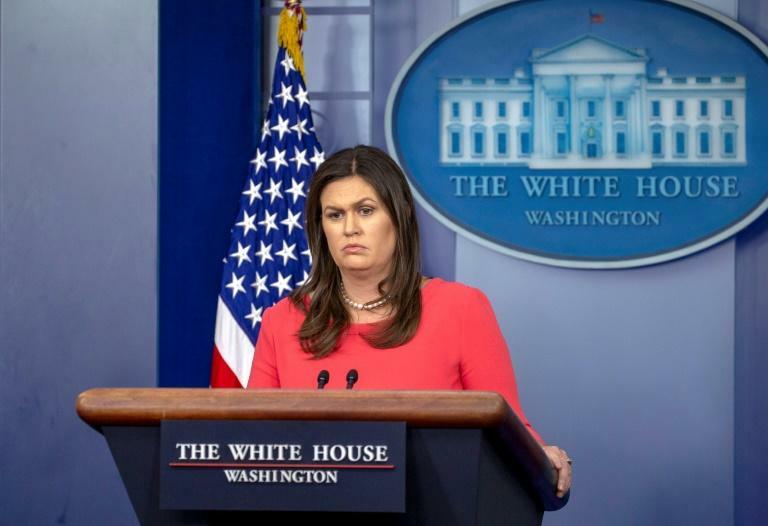 White House spokeswoman Sarah Sanders, in the face of repeated questioning from reporters, insisted that Trump was saying "no" to further questions from reporters and not replying to the query about Russia. She said the threat to the US electoral system "still exists, which is why we are taking steps to prevent it." FBI director Christopher Wray insisted Wednesday evening that the US intelligence community view has not changed. That position, Wray said at a security forum in Aspen, Colorado, is that "Russia attempted to interfere with the last election and that it continues to engage in malign influence operations to this day." Democrats and some members of Trump's own Republican Party have criticized him for accepting at face value Putin's denial that Russia interfered in the vote. Democrats say the woman who translated for Trump -- and the notes she likely took -- could provide critical information about the meeting. "We want the interpreter to come before the committee. 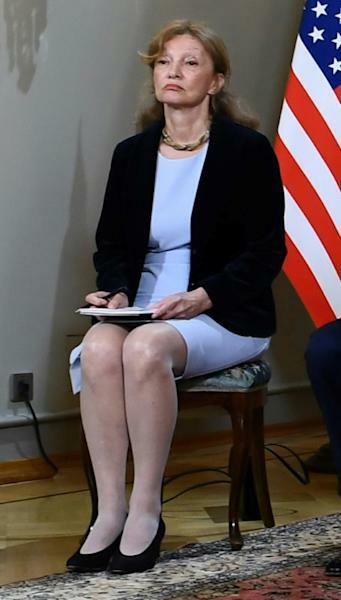 We want to see the notes," Senator Bob Menendez, the top Democrat on the Senate Foreign Relations Committee, told MSNBC. "We're going to have a massive effort to try to get to what happened." Senator Bob Corker, a Republican who chairs the committee, said he understands the request and was "looking into precedent" to see if it was viable. Asked if a recording of the meeting existed, Sanders said: "I'm not aware of one." Faced with outrage at home, Trump said Tuesday that he accepted the intelligence community's assessment that Russia had meddled in the election. 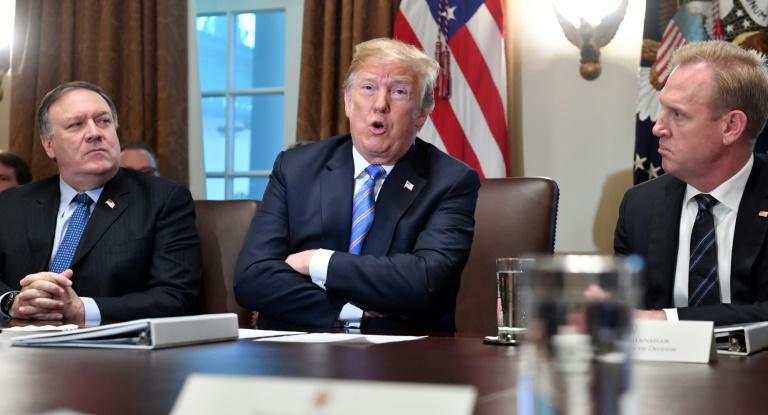 He also offered a twisted explanation of his assertion in Helsinki that he could not see "any reason" why Russia would interfere, claiming he misspoke. "The sentence should have been, 'I don't see any reason why it wouldn't be Russia.' Sort of a double negative," he added. The president has dubbed it a "witch hunt," and repeatedly denied any collusion. But the investigation is progressing, as evidenced by the indictment of 12 Russian military intelligence agents on Friday -- timing that was embarrassing ahead of the summit.